What is Papa John’s number? Need to contact the restaurant near you to order pizza delivery? Looking for the customer support of Papa John’s pizza? It that’s true, all of your prayers will be fulfilled on this page. This is Papa John’s customer service contact number, call to get support from the team if you’re having trouble to order online. Location: 2002 Papa Johns Blvd, Louisville, KY 40299, US. This is the contact information of the corporation main office. 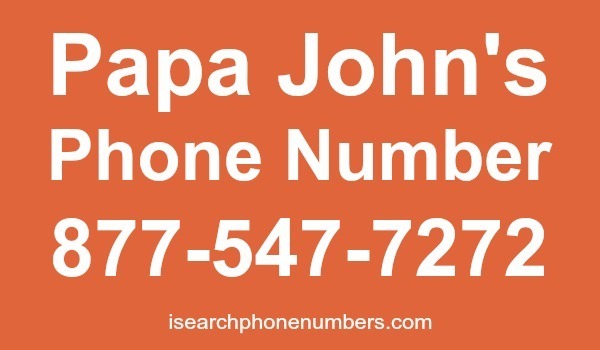 You can find the phone number of the local Papa John’s pizza near your location using the official online website of the company at www.papajohns.com, the Papa John’s pizza contact number near you will be displayed to you after a quick search of your city or zip code. You can also use the 800 hotline number provided below to get help via phone call to order delivery from Papa John’s restaurant. Papa John’s is one of the most favorite pizza restaurants among many people around the world, like many other popular pizza places, they are offering delivery as well as to dine-in. We do hope that after reading this article you can easily communicate with the customer care department of the corporation, other ways – please contact us and we will add more relevant information to this page. Do you have something important to say on this subject? You can contact us via email or you can leave a comment below, our team will take care of you as soon as possible. Note that on this website you can also find the contact information of other pizzerias such as Pizza Hut contact info and also Domino’s Pizza contact info, including their delivery numbers and their main corporate no.